Create a loyalty program link to use on social media posts to make your loyalty program easy to access for your existing members and encourage new customers to sign-up. 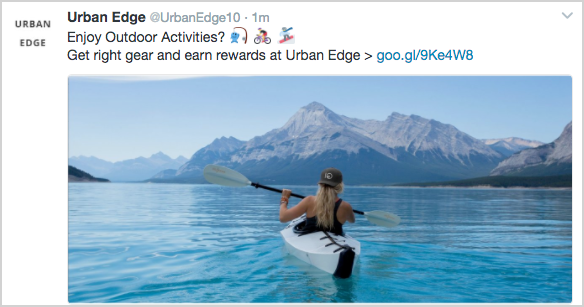 To share your program on social media, you'll need to create a loyalty program link. Don't worry, it's really easy! Here's how to do it. 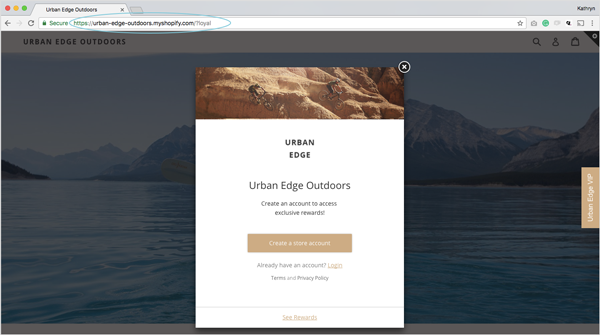 💡 Pro Tip: If you have a custom URL for your Shopify site (i.e. 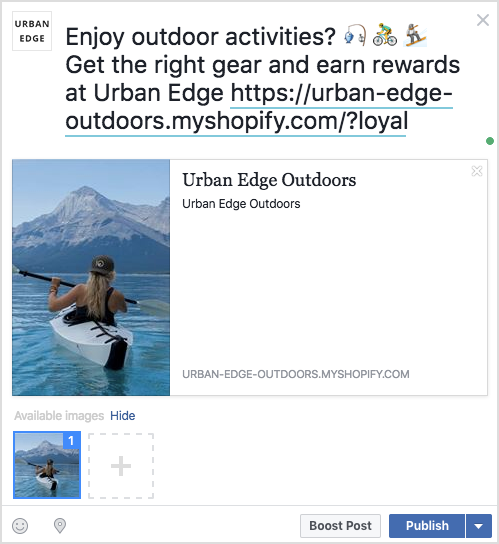 doesn't have .myshopify.com in it) you should use this to create your loyalty link. It will be more clear for visitors and is likely to pull imagery from your website into the social post. 💡 Quick Tip: On Facebook, when the link has attached to the post, you can delete the text link to make the post look more professional. 💡 Helpful tool for Twitter: Google URL Shortener. On Twitter posts, use a link shortener to make sure the link is not overwhelming and doesn't take up too many characters. 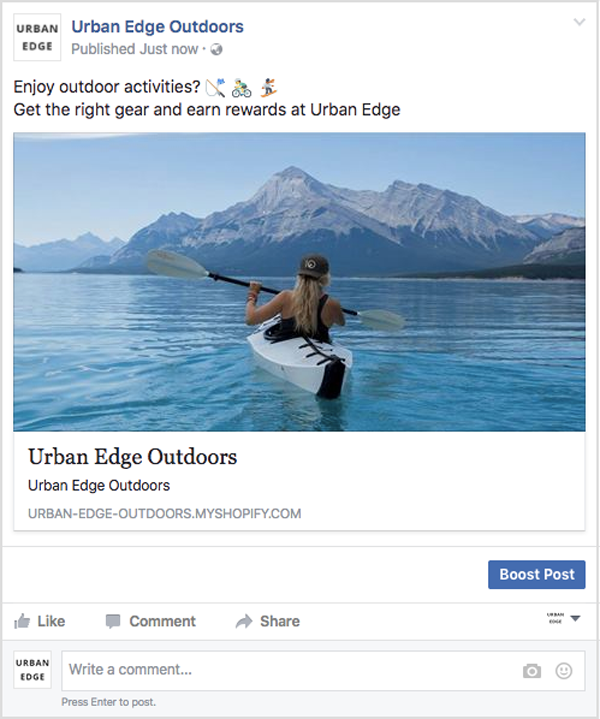 When your customers are looking at their social media feed, they will see your post. Here they can click on your link. This will take them to your online store and open your loyalty program widget. 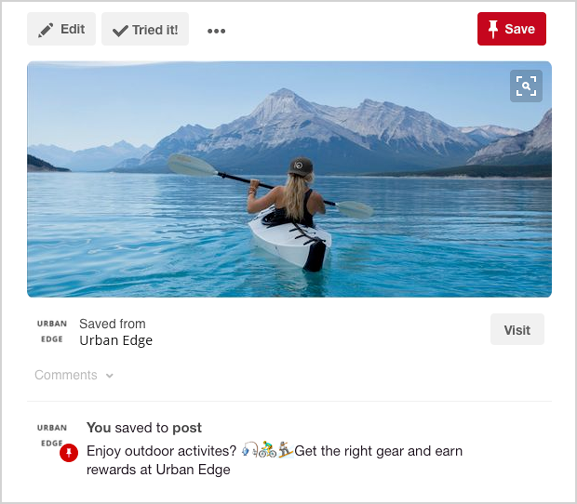 On your loyalty program widget, new customers can join your loyalty program and existing members can log in to check their loyalty points balance, redeem rewards and see other ways that they can earn loyalty points.